Stayed at the Indigo Pearl for 8 days. On arrival we were upgraded to a premier pearl bed suite which was beautiful, very spacious, unique decor and very romantic. Breakfasts were sufficient without being amazing. 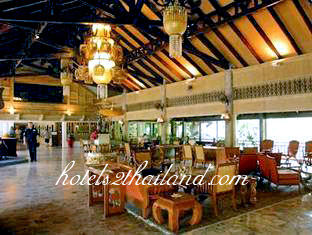 The on site Thai restaurant however provided some of the best food I think I have ever eaten! Add to this the amazing service within the restaurant and we walked away very happy. Stayed at the Indigo Pearl for 7 nights on our honeymoon. We appreciated the comfort of the rooms, and particularly the huge, and probably most comfortable bed we've ever slept in. The beach area is just a short walk outside the grounds and you can get everything you want there for very cheap in case you don't want to pay hotel prices for laundry, drinks, and food. Also, the Indigo Pearl has a little beach area with umbrellas and lounge chairs. 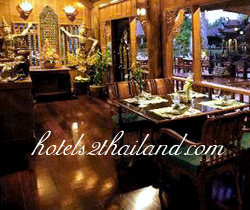 They will also serve you drinks out there and food which we took advantage of every day. I loved the design of the hotel. Very modern and "cool" design inspired of the old tin mines. Don´t miss the bar when you´re there!